Guardian #10800 Safe-T Ladder Rail, Extension System. 2-piece universal bolt-on railing kit in an Orange color finish. Price/Kit. 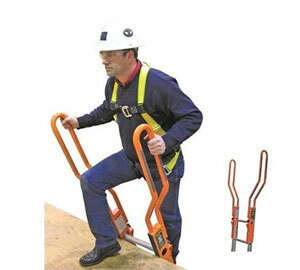 Provides an extended safety railing to enable safe walk-through at top of an extension ladder.